Outside food may not be every one’s cup of tea. Many people suffer from allergic reactions, some of which can be life-threatening. These people at risk must be extra vigilant when consuming outdoor food. Common dietary causes of infections or allergic reactions are peanuts and tree nuts such as almonds, cashews, walnuts, Brazils, pistachios, hazelnuts and macadamias. Anaphylaxis is a chronic allergy; the whole body gets affected within minutes or a few hours when exposed to allergens. The causes include food, latex exposure, insect stings and even certain medications. If the reaction is very severe, call an ambulance for hospitalization of the affected person. Food prepared by others carries many risks, but they can be reduced significantly with good communication. The person or persons with a food allergy must be candid and take corrective steps to reduce the exposure to risk. What Allergic Persons Must Do? Those experiencing allergies can take some precautions such as…. Ascertain any scope for cross contamination taking place during chopping, or from the cooking oil, spoons, knives, pans, grills or chopping boards. Update the chef about the severity of reactions caused by certain food. 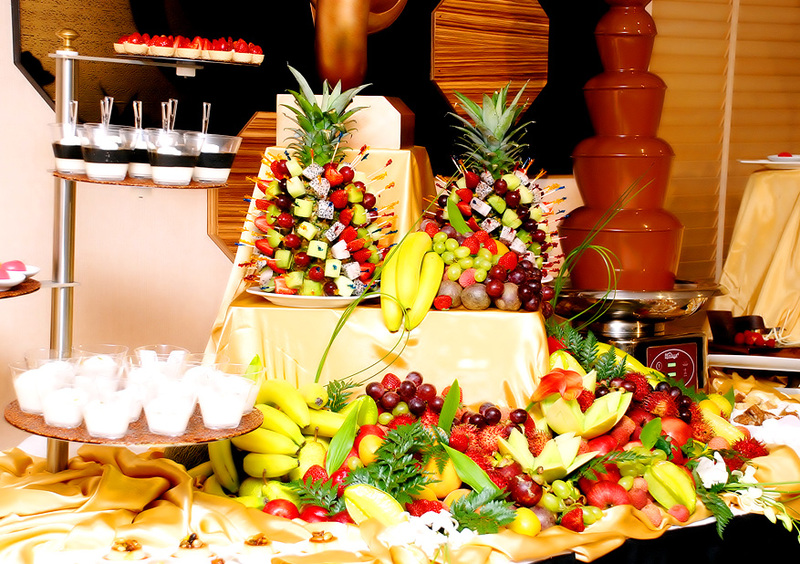 Of course, many caterers may not be very receptive to this kind of questioning, but doing so in a polite and friendly manner when they are not too busy can be helpful. Any outdoor catering company and its chefs will be only too happy to address the problems of customers facing food allergies with prior notice. Allow the allergic persons to check food labels and speak to the chef directly. Caterers must always handle concerns with due respect in regards to food allergies. Place a sign or a note on the menu stating that some dishes may contain nuts. It helps if the persons allergic to nuts asks the waiter to suggest a nut-free meal. Try to ensure that wherever a dish contains allergens, it is duly indicated in some form on the menu. The outdoor caterers need to instruct their team to be careful about the use of oil. Cooking in unrefined groundnut oil, peanut oil or sesame oil can leave traces of nut protein in the food being cooked. Previously used oil to cook products containing nuts or fish may contain traces of allergens. Everything should be completely hygienic. Utensils, cutlery and work surfaces should be washed thoroughly after contact with food containing nuts and so do the hands of those handling it. In fact, they should be wiped and rinsed in a dishwasher to dispense all sticky peanut butter, chocolate sauce, mayonnaise and creamy puddings to be on the safe side.